A little peak today. 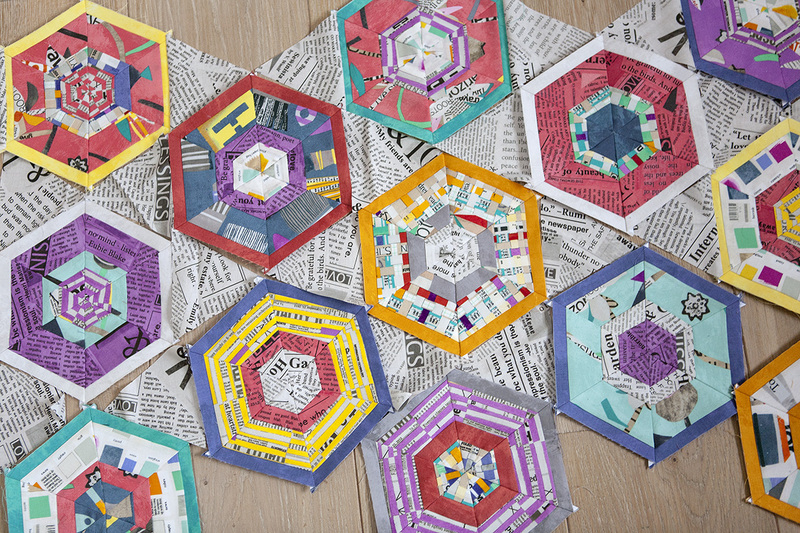 I now have over 20 hexagons and probably need about 40. I will sew until ALL the fabric is gone, determined to use every scrap of it. I cut the strips so that I have minimum waste and maximum usage. This coming weekend I hope to produce a couple of sets more. I always sew or six hexagons together so that I have a bit of a production line going but this still takes a couple of hours (would you believe it) and I am not slow on the machine. Still I enjoy it and sew whenever I can set aside 3 hours, so this will take a while until it is completed.